As you land at Juba airport in South Sudan, the image of a broken nation grips your eyes with sights of ancient but falling and abandoned buildings. The streets are full of young people, most not in school uniforms, but rather in military gear and some cruising the streets aboard military vans flashing deadly weapons. Welcome to the capital of Africa’s newest country, South Sudan, which boasts a population of no more than 10 million people. Since its independence from mainland Sudan in 2011, South Sudanese have never known peace as their country was caught in a tragedy as dramatised by writer George Orwel in the book Animal Farm. The independence, instead of uniting their resolve, drove them even further apart as the country got divided on tribal lines leading to civil war. However, over the years, calls for peace from foreign neighboring and international countries have been loud, something leading to the slight calm being experienced right now. Nevertheless, still waters continue to run deep. 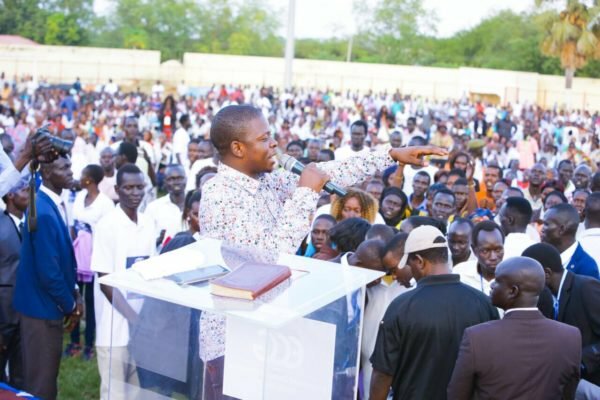 It is against this, that South Africa based preacher Prophet Shepherd Bushiri, who is visiting the country at the invitation of President Kiir, held a service at Juba International Stadium principally dedicated to the cause of peace. 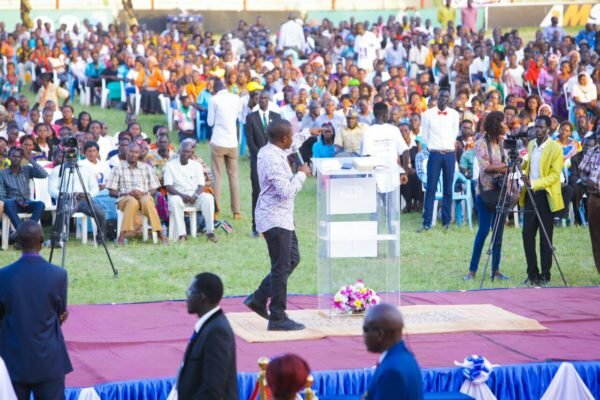 With the vice president in attendance and also the Speaker of Parliament, Prophet Bushiri asked God to remember his people in South Sudan and give them wisdom to love and protect one another. He called on leaders to learn to adjust to each other and also put the welfare of the local people at heart. “I have come as a prophet to proclaim peace to you. God told me to come here and tell you that he has heard your yearn for peace and unity and it will be done,” he said. In his speech, the vice president Dr James Wani Igga hailed the Prophet for words of uplifting his people. He has even told the Prophet to keep South Sudan in prayer so that peace and unity prevails. During the service, Prophet Bushiri preached, prayed and performed miracles through the power of God. The service, which attracted thousands, was organised by the Enlightened Christian Gathering (ECG) Church, South Sudan branch.